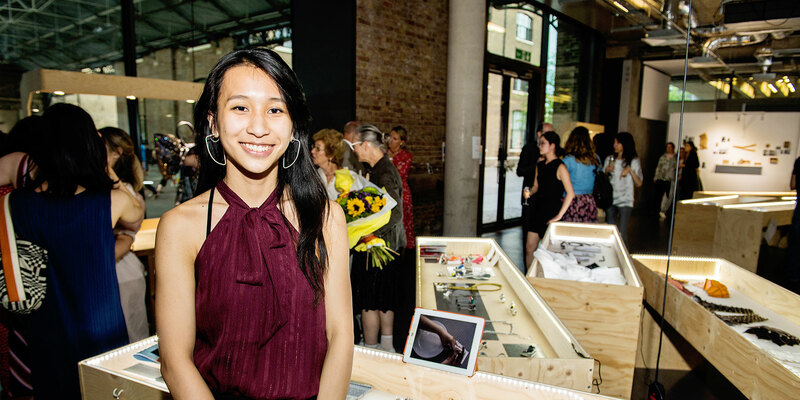 Yanmi Lui was announced as the winner of the 2017 Winterson Prize for the Best Use of Pearls at Central Saint Martins, London last night, where eclectic degree collections from jewellery's future designers went on display. 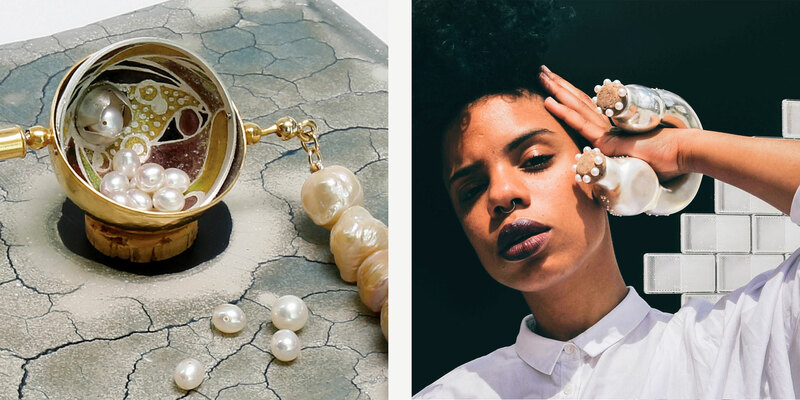 The influential arts institute’s annual graduate show saw students presenting original pearl pieces, created with advice and support from Winterson Director Andrew Fraser and Creative Director Alice Cicolini. 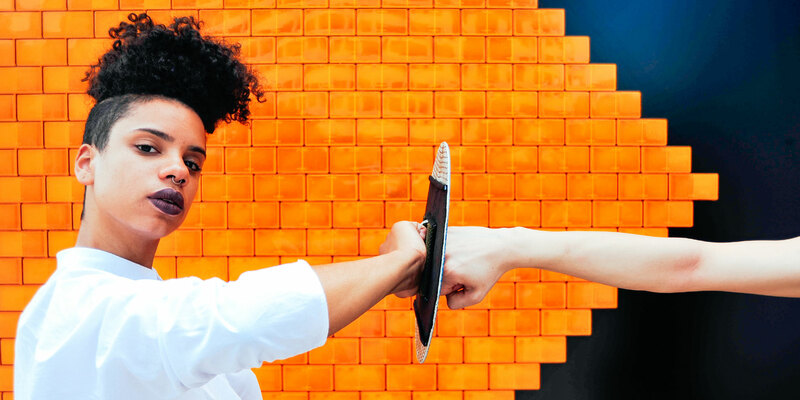 Yanmi Lui was named this year’s winner of the Winterson Pearl prize for her collection ‘Modern Self-defence Armour & Weaponry’, a playful set of self-defense weaponry that drew inspiration from bio-mimicry design and an interest in martial arts. Each year the prize celebrates an appreciation and understanding of the qualities of the pearl. With such an original and diverse group of work this year, Yanmi was an excellent winner. 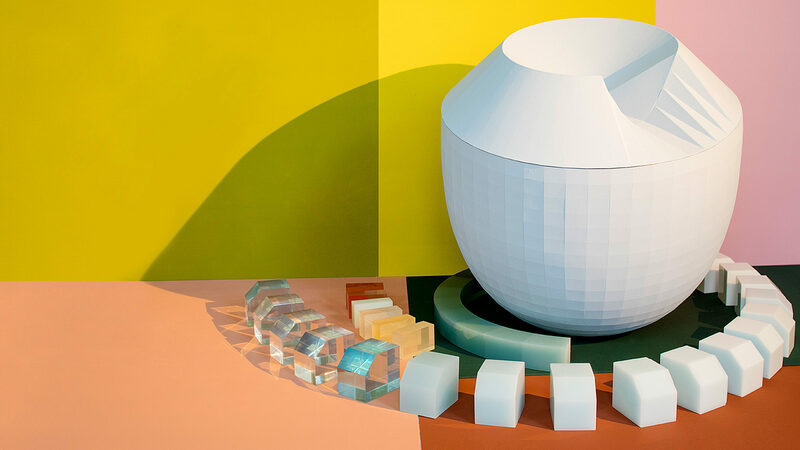 "As a designer, I continue to question, what outcomes do I want to achieve from the objects I create? What is the relationship, the interaction, between our most precious-valued objects and to wear them so close on our body? Through the process of exploring this unspoken language, I continue to develop a creative vision of what pieces I want to make and share with others. 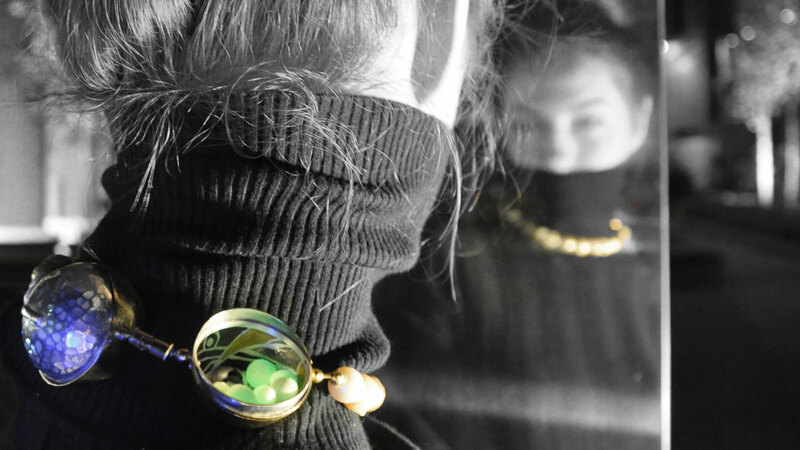 I enjoy using the artistic freedom in jewellery, aligned by functional design. It is always very delightful to see others wear my pieces, embodying it in their style and interacting with them." "Through studying my Bachelor degree at Central St. Martins, I learnt the importance of craftsmanship because only by trying, failing and repeating, we gain true understanding as a designer. However, my experience in working with the industry, has also taught me the importance of mass manufacturing being essential to provide for a larger community. I enjoy introducing a craft dimension to functional, usually industrialized objects, for example, the lipstick piece in my graduate collection. My future plan is to gain more understanding of three-dimensional applied technologies on a Masters level, so that I can bridge the gap between the designer and maker." Pearl blowguns, an eyeball necklace with a dispensing system for pearls, geometric knuckle rings, kevlar shields and an over-sized pearl bottle cuff with Braille lettering formed some of the equipment and hidden details in the collection. Caroline Broadhead, BA jewellery Design Course Leader commented "Using pearls as a weapon for self-defense is a cunning idea. 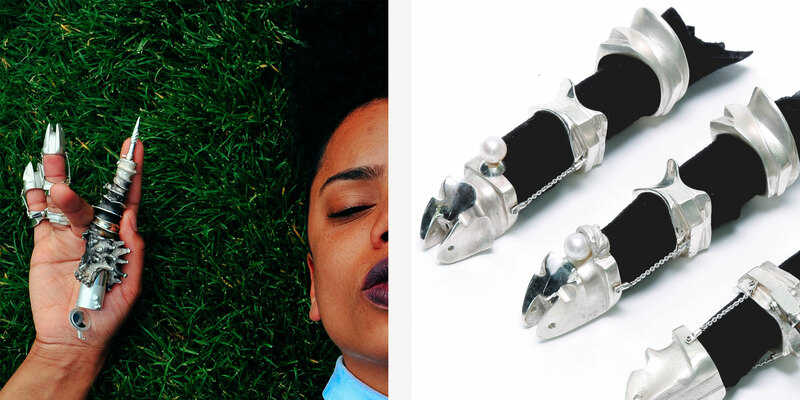 Yanmi’s collection of jewellery and objects is imaginative and inventive." 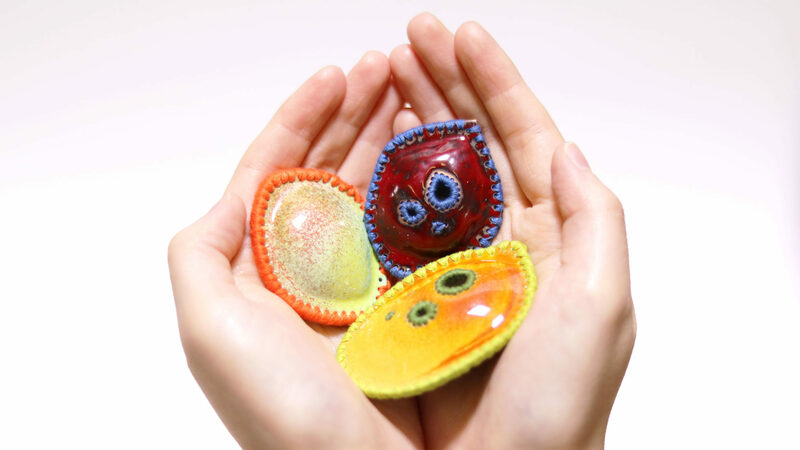 Commenting on the award, Winterson's Creative Director Alice Cicolini said "We were impressed with the way that Yanmi made a clear conceptual connection between the origins of the pearl and her sources of inspiration. 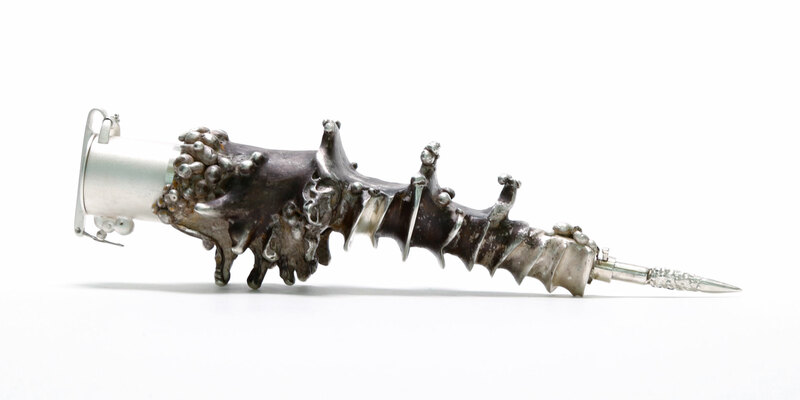 It is thought that natural pearls are created by a mollusc as a form of protection, a concept that Yanmi placed at the core of her self-defence collection. The pearl necklace is one of the most enduring luxury jewellery pieces; Yanmi plays with this symbolism, creating a fanciful piece where the pearls represent a source of empowerment as well as adornment." An original and very well deserved winner for this year's prize, congratulations Yanmi! Read more about Yanmi Lui and the other CSM designers' work here.